Lottie's Interiors is pleased to welcome Room 4 Interiors as a guest blogger here. I'm particularly interested in this subject as it is on our 'To do' list as my husband is one of the 4.2 million home office workers and has an office in desperate need of an overhaul! Hope you enjoy these great ideas! The home office has for a long time been the place where many self-employed people find themselves during the week. Trying to shut out the noise of the kids watching T.V; the neighbours mowing the lawn and the council dustbin collection every Tuesday at preciously 8 o'clock. It is the place where your empty coffee cup is always a distraction and where your Facebook page is never closed! Recent studies found that of the 30.2 million people working in 2014, 4.2 million were people who worked from home. This figure constituted 13.9% of the working population. These figures show an alarming number of people working from home amongst the distractions of everyday domestic life. A single and elegant solution to these distractions, which has seen a rise in recent years, is the outhouse office. Tucked securely outside of the house, an outhouse office or garden office has huge benefits for both your productivity levels and mental health. Many people who found themselves working and living within the same environment, suffered from the effects of anxiety and depression. Thus, having that distinct break between office and home environment can be a huge benefit to home workers. For many garden or outhouse office spaces, the amount of floor space available is limited. Changing to modular furniture you create the optimal amount of desk space within the minimum amount of floor space. Modular furniture is a great way to create a desk unit that fits into your office space perfectly, while simultaneously allowing you to extend or alter your desk unit whenever needed. One of our top modular picks is this Hampton computer station with expandable shelving. It is the perfect fit for those who spend most of their days staring at a computer screen. 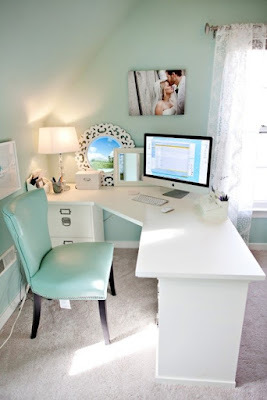 The white finish helps to keep your small office space light and open. Pairing this with a Hampton white desk and a Hampton 4 drawer pedestal, you have the perfect desk unit for your workspace. The best part about having an office at home is being able to own that space and make it yours. You produce some of the best work when you are comfortable in your surroundings. Include personal elements in to your home office such as pictures of family and friends, unique and quirky stationery that may bring through your personality, unique home office furniture or simply paint the walls your favourite colour. Your home office space is your own, so bring your own style through when designing it. Furniture pieces such as the ones pictured above are great for creating a unique workspace. 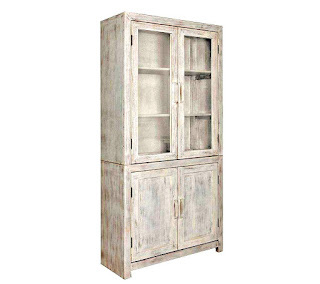 With a mixture of white and oak finishes, it can bring texture and creativity to an otherwise plain space. You should never underestimate the power of an organised work space. One of the first steps towards a productive day is making sure that your work space is neat and tidy, thus allowing your thoughts to follow the same pattern. 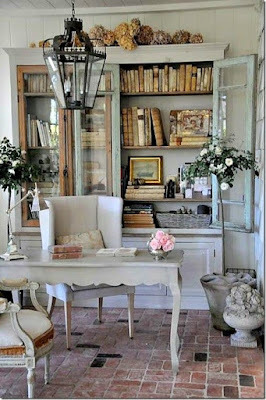 Create dedicated spaces where everything should go. By doing this you will ensure that you not only know where you've left your favourite pen but you also know where all of your invoices are filed. 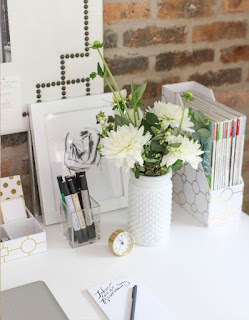 Including cute organisation tools or accessories is also a nice way to make your workspace more unique and fun. One great way to create the facility for organisation is to ensure that you have enough storage space. 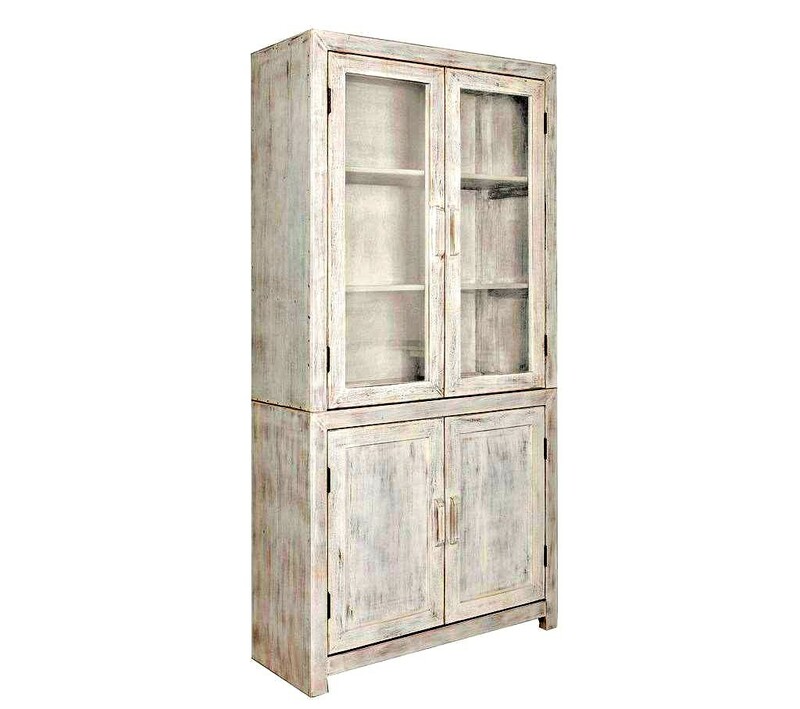 A large cabinet can be a great way to create storage space with a stylish touch. Placing baskets, shelving units and holders inside the cabinet will ensure that your stationery and important documentation stay neat and organised. Items such as the Portobello display cabinet is a great piece to keep the light feel of your office space whilst still creating the necessary storage space. 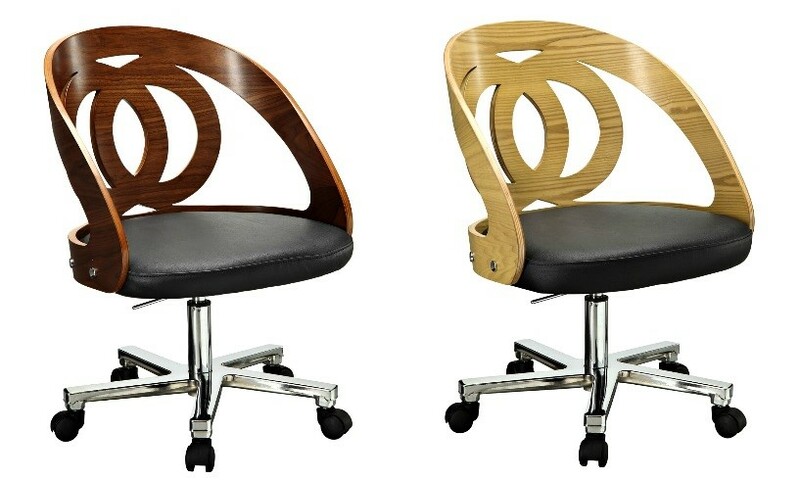 A necessary addition to any garden home office is comfortable work seating. When working long hours you need to ensure that you have the appropriate home office desk chair. An uncomfortable environment or stiff dining chair can see your mind wandering towards the sofa in the lounge or even worse, your comfy and oh-so inviting bed! In order to fully utilise your work space you need to ensure that you are comfortable enough to want to stay in it. 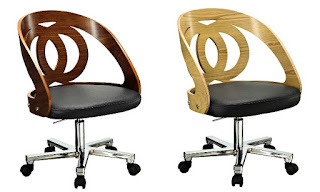 For some great home office furniture ideas or contemporary modular office furniture Room 4 Interiors has wonderful pieces for both the home office or the outhouse/garden office.